Established by Alcohol Concern in 2012, Dry January has helped 79% of participants save money and 49% lose weight. 3.1 million people (1 million more than last year) will be going completely alcohol-free in January, and some might even keep it up for the rest of the year. It doesn’t sound like great news for pubs, of course. A pub owner with two London sites told Vice he has to cut down staff hours every January because “spend per head is at least £10 less than it might be at another time of year”. 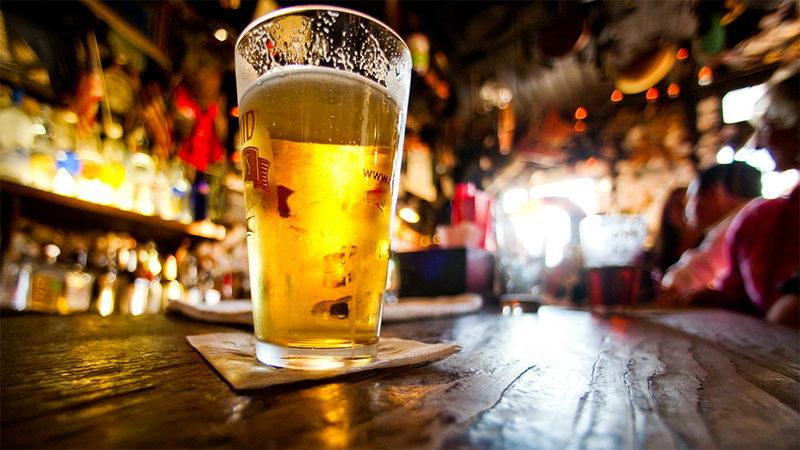 How can pubs keep their numbers up after the excesses of Christmas? Sitting there thinking about everyone else’s gin and tonics is going to make non-drinkers wish they stayed at home. Going to the pub needs to be about something else, ideally something mentally distracting. Film screenings and football matches might be your current entertainment offering, but many will find it quite lacking without a pint. According to The Publican, 23,000 of the UK’s 60,000 pubs put on at least one weekly quiz. Weeknights are especially popular quizzing nights, because they give punters a specific reason to come during usually quiet periods. Anecdotally, quizzers are generally bigger drinkers than football-watchers, but their abstinent friends won’t drag their feet because they have a quiz to win. People still go out in January, even if they aren’t drinking, but they won’t hang around (or bring their alcohol-drinking friends) if their only option is orange juice. If you cater to a daytime audience as well as evening drinkers, having artisan coffee on the menu is just as important as serving craft beer, gins, and a varied selection of wine. Developing a menu of mocktails, fresh coffees, and winter themed drinks gives a non-drinker in a group of drinkers a lot more options. If you can promote your non-alcoholic options as the most varied in the area, you might soon become the best Dry January option in town. Most customers appreciate warmth, atmospheric lighting, and comfy seating, but sober customers will find it even more appealing. If they’re going to sit amongst their drinking friends while they sip on their tonic water, they’re going to want to do it in comfort. Your exterior is just as important, so make sure the windows are clean, paintwork is spotless, and it looks inviting. For seasonal businesses like pubs and bars, making renovations and improvements in January can be a good use of an already quiet period. As long as you give your regulars a bit of notice you’ll be closed for a few days, they won’t mind too much when they see the new furniture and lick of paint. Capify offers a Merchant Cash Advance to help pubs raise finance for refurbishment, new stock, and expansion, and repay it in manageable, small amounts. Hospitality and catering involves so much seasonal change, Dry January is just one of those periods that demands some flexibility. Some people will keep it going after January and some won’t, but the renovations and the new drinks menu will serve you well for the rest of the year and beyond.